Hamshop is official importer, distributor and dealer of Innovateantenna, Fritzel, Force 12 and (original) Diamond antennas. 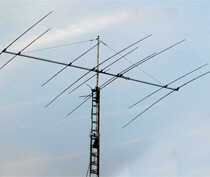 Additionally, we supply (from stock) the authentic Hyendfed antennas from the Hyendfedcompany. We also supply Ultrabeam and Steppir antennas!